The HTC One A9, which was quietly released in Canada last November with no carrier support, has added two more colours on its web purchasing portal. 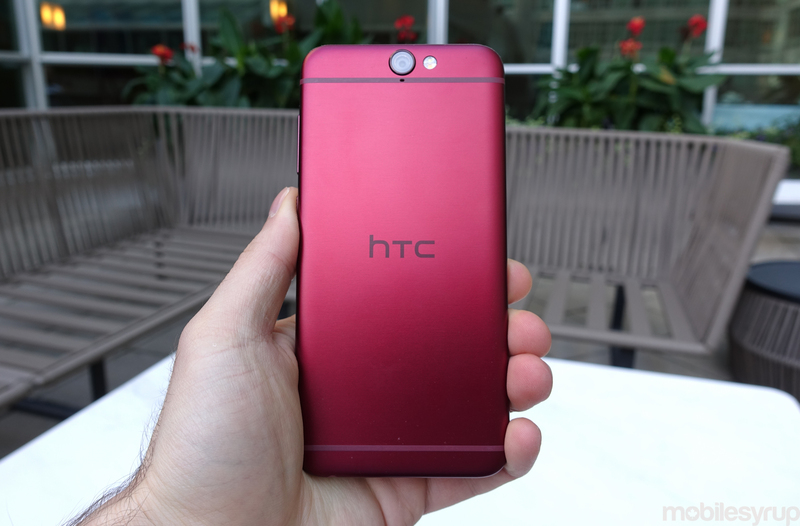 Initially available in charcoal grey or white-and-silver, HTC recently added a gold variant and, our favourite, a deep garnet red that looks great in person. Priced at $649 CAD, the One A9 is a hard sell given its mid-range specifications, but by selling it direct to consumers, HTC at least ensures timely software updates. The One A9 features a 5-inch 1920×1080 pixel display, a Qualcomm Snapdragon 617 processor, 3GB RAM, 32GB internal storage with a microSD slot, 13-megapixel rear camera sensor w/ F2.0 lens, optical image stabilization (OIS), UltraPixel (4MP) front-facing camera w/ F2.0 lens, and a 2,150mAh battery with Quick Charge 2.0. The One A9 runs Android 6.0 Marshmallow with HTC Sense and also comes with a front fingerprint sensor. It measures just 7.3mm thick and weighs 143g. Check out the whole lineup at HTC.ca.